Enter Captain Alec Osborne and his Indian wife. Alec is next in line to inherit the family estate and while he produces a letter from James asking him to look over Emily, something is not right. We are slowly introduced to a series of little incidents that aim at hurting and eventually do away with Emily (who is pregnant...). While the idea is "refreshing", its execution is little more than bearable. Yes, we are at a period in time where women were meant to be submissive and sub-par in almost everything, but I just can't buy that. Emily has taken care of herself in the real world for a fairly long time to be unaware of tricky situations around her. I'm not convinced by her inability to just show the door to her guests and seek support from the staff around her for protection. I'm also not in favour of having to rely on exotic India for all the different concoctions to end Emily's pregnacy and life - surely these are known to everyone in the world? It gives me the impression of a scapegoat - and yes, I know it was easier to keep unpleasant matters away from proper society and blame "outsiders" for all evil. Still, I can't feel sorry for poor Emily fighting for her life... because it's all too convenient and short-lived. A happy end completes the story and a pragmatic, yet loving and caring family life is restored. 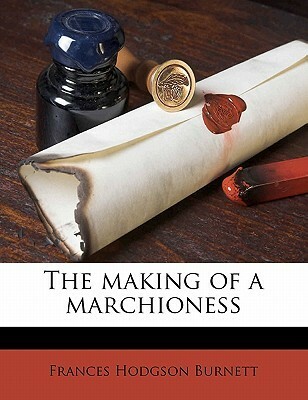 Project Gutenberg has published this book, together with its sequel under the title "Emily Fox-Seton: Being the Making of a Marchioness and The Methods of Lady Walderhurst". This is a great opportunity to gain access to numerous titles in the public domain. If, on the other hand, you prefer the paper version, I cannot recommend enough the Persephone edition (Persephone Press publishes neglected and out-of-print works of literature).